My Unique Ability is listening, absorbing and sorting through complex situations to develop practical yet compassionate goal-oriented action plans. Mike is the Founder and CEO of Resource Consulting Group. 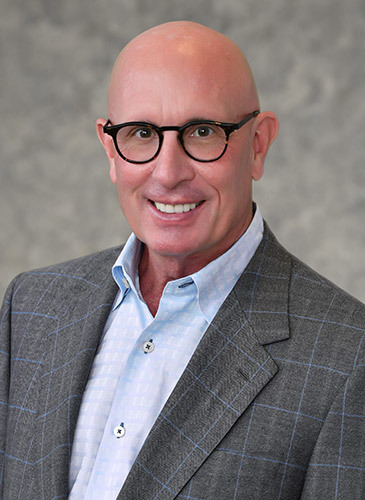 He has practiced as a fee-only financial planner and investment advisor exclusively since 1986, following eleven years of experience in the public accounting and legal professions, with an emphasis on estate planning and employee benefits planning. Mike is the author of several published articles regarding income tax, employee benefits, and personal financial planning matters, and has lectured to various professional organizations on these subjects. He has been quoted in Time, Forbes and Money magazines, The Boston Globe, The ABA Journal and in Jane Bryant Quinn’s syndicated column on personal finance. A Certified Financial Planner™ professional, Mike is also a member of The Florida Bar, and previously practiced as a Certified Public Accountant and as an attorney. He is a graduate of the University of Florida with a Juris Doctor and a Master of Laws in Taxation. At the age of 15 my father’s job relocated our family from Baltimore, MD to Ft. Lauderdale, FL. While I was excited at the prospect of moving to Florida I knew I would miss my friends and neighbors. Mostly, I was going to miss the all-boys prep school where I spent my freshman year as a member of the junior-varsity swim team — a highly-ranked team that offered me a myriad of opportunities for success as an athlete. I figured Ft. Lauderdale couldn’t be too bad if it was the home of the Swimming Hall of Fame. While my new school was co-ed (I liked that aspect!) I was shocked when I found out they didn’t have an on-campus swimming pool. “You do have a swim team, don’t you?” I asked, in shock. “Yes…” they replied. Their swim team, I would find, practiced at the YMCA in downtown Ft. Lauderdale, a far cry from the state-of-the-art facilities I had grown accustomed to at school in Maryland. I found out quickly that I was the proverbial big fish in a small pond on this new team and was grateful that swimming was an individual sport as well as a team sport. During the year, I set several school records in the events in which I competed. When it came time for the annual sports awards banquet I was proud to be named the MVP, a huge honor as a sophomore. The next summer I joined an AAU team that trained under a former Olympian at the Swimming Hall of Fame. He got to know me well and, recognizing that my high school swim team was not a challenge for me, invited me to train with the high school team that he coached, a state contender like my school in Maryland. I took him up on his offer, relishing the opportunity to train with some of the fastest swimmers in the country. When the annual sports awards banquet rolled around the next year, the MVP was … not me. The next day I went to the coach’s office and asked for an explanation. 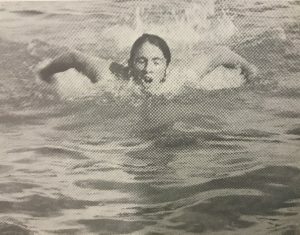 He calmly explained to me that while I was clearly the best swimmer on the team, I was not the most valuable for I hadn’t even trained with the team. I simply showed up for swim meets. I often think about that interaction and the impact it’s had on the culture here at Resource Consulting Group. I realized the critical importance of being a team player, not just an individual high-performer and that valuable lesson has guided me in both my personal and professional life ever since. Oh, and yes, I did get the MVP award my senior year. Lesson learned. As has been said by others, there is no “I” in team.